Bubble Riding is a story that teaches children how to use visualizations to relax, lower stress and see a positive outcome. 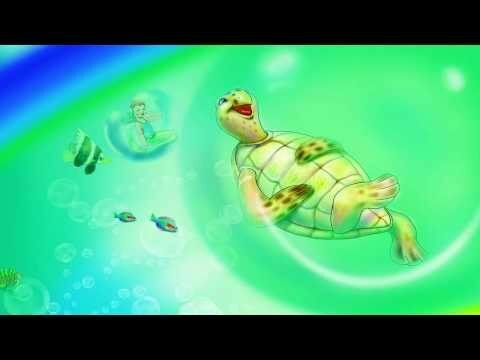 A sea child and turtle take children on a relaxing bubble ride through the ocean as they learn a fun visualization technique also known as creative imagery. While filling and relaxing their mind and body with the colors of the rainbow, children learn how to form a mental image of whatever positive outcome they would like to experience. This technique can have a positive impact on your child’s overall health, creativity, and performance. Professional athletes use visualizations to experience success. Creative imagery is also used to help patients heal faster, with less pain and has been considered a healing tool in virtually all of the world’s cultures. This story is ideal for older children or those with a longer attention span. Bubble Riding is also featured on the Indigo Ocean Dreams Audio/CD and is available in several eBook formats. Children are intrigued with both rainbows and bubbles. The colorful soothing experience of this story feels so good, that you and your child will want to do it again and again. Every child has a different emotional maturity, attention span, and need. While the stories are best suited for ages 6-12, do not let this be your primary reason for selecting. You know your child best and remember this is not about the reading level. The focus is on the actual techniques. “Teaching children visualization and relaxation techniques has been a difficult feat until I began using books such as Bubble Riding and CDs such as Indigo Dreams. This book has been integral in my treatment of anxiety related to sleep and overcoming other nighttime fears. It has also helped with school and social anxiety and pain management. This is exactly what I had been searching for since I began conducting psychotherapy with children.”- Summer Sullivan, Ph.D.